Leslie E. Schneiter, Supervisor of Sikorsky Aircraft aerodynamics section, died suddently March 12, 1962 in Milford Hospital. 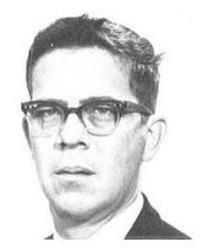 Mr. Schneiter had been employed by and was named to his last position in 1961. A native of Antigo, Wisconsin, he was graduated from Purdue University with a BS degree in aeronautical engineering in 1943. During his days in college Mr. Schneiter was active in the Student Union and Glider Club. He began his career in September, 1943 as a test engineer in the free spinning tunnel at the Langley Laboratory of the former National Advisory Committee on Aeronautics. From 1949 until joining Sikorsky, Mr. Schneiter was assigned to NACA headquarters in Washington, D.C. He also served as technical secretary of the NACA special sub-committee on the Upper Atmosphere and the Sub-committee on Helicopters.